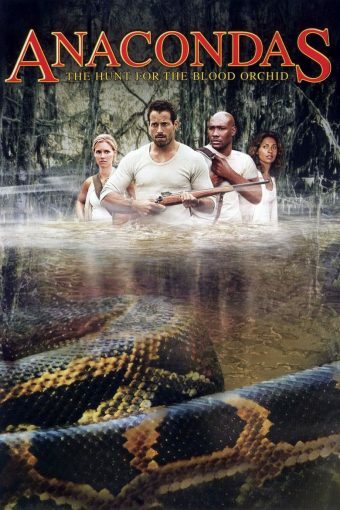 Scott and Lee watch Anacondas and feel some sympathy for the snakes. Scott and adorable capuchin monkey Lee watch Anacondas: Hunt for the Blood Orchid. It’s a formulaic monster movie that we strip mine to find traces of writing gold and diversity silver. Featuring Captain Handsome and his stabby knife, damned attractive actors, consumerism, Hollywood’s hatred of science, snake racism, Borneo being a real location, and believable conflict.